I'm really looking forward to the newly announced exhibition that will open at the Walt Disney Family Museum on March 13, MAGIC, COLOR, FLAIR: the world of Mary Blair. 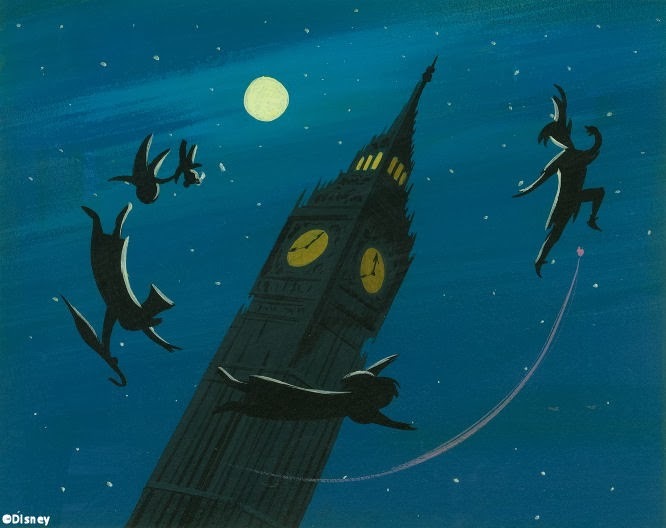 It will feature nearly 200 works from the famed artist, designer and colorist who contributed her unique artistic sense to Disney films like Cinderella, Alice in Wonderland and Peter Pan. Blair's vivid style can also be seen in It's a Small World and the epic Grand Canyon Concourse mural inside Walt Disney World's Contemporary Resort. MAGIC, COLOR, FLAIR: the world of Mary Blair will spotlight not only Blair's work at Disney, but also her student art at the Chouinard Art Institute and her illustrations for Golden Books among many other items. 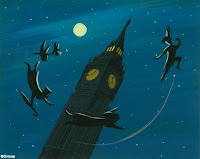 The exhibition will be guest curated by Academy Award-winning animator, author and historian John Canemaker. For more about the exhibition, visit http://www.waltdisney.org/blair. Hi. My name is Tim and I love Disney Infinity. Yes, these are all mine. 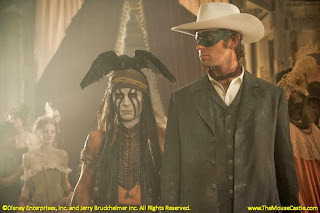 In the generous spirit of the holiday season, I decided to give The Lone Ranger, now available on Blu-ray, another shot. I panned it in July, but I wanted to see if time and the friendly confines of my living room would soften my attitude towards it. Nope. It's still an overblown, erratic mess that veers wildly from broad humor to violence. It's patronizing to Native Americans, Tonto (Johnny Depp) has mental issues, and our iconic title character (Armie Hammer) is a buffoon. Hi yo, Silver....no way. God, I miss Clayton Moore and Jay Silverheels. I'm really tickled with the new Oscars trailer. Host Ellen DeGeneres leads a pack of dancers through the Warner Bros. backlot to the tune of Fitz and The Tantrums’ The Walker. Ellen will be back for her second go-round at the Oscars on March 2nd. I'll be back on the red carpet (a few days before the ceremony) to host my annual preview show in The Mouse Castle Lounge. 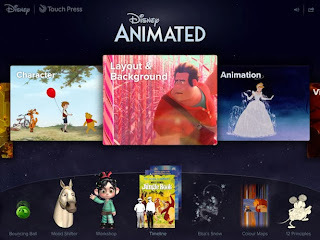 Disney Animated was rightfully named Best iPad App of 2013 by Apple. It's an extraordinary interactive compilation of 90 years of Disney animation. It's part animation tutorial and part history lesson with a generous assortment of finished clips, pencil sketches and concept art. You can step frame by frame through select scenes from Snow White and the Seven Dwarfs to Frozen, manipulate your own computer animation, and delve into the complex creative process that produces animated feature films. Currently priced at $9.99, Disney Animated is worth every penny if you have any kind of appreciation for Disney's animation legacy. I'm not a fan of compiling year-end lists and I don't make New Year's resolutions. I do, however, like looking forward to the next project, the next movie review or the next interview. 2014 is already shaping up to be an exciting year for The Mouse Castle and The Mouse Castle Lounge. Later this week, I'll be chatting once again with historian Didier Ghez. He was a guest in the Lounge in July to talk about the latest edition of Walt's People. When we meet again, he'll be talking about Disney's Grand Tour, Didier's intricately researched book about Walt's 1935 trip to Europe, a trip which would have profound impact on the studio for decades to follow. Also on the docket is Jim Korkis, an accomplished historian and author with a thing to two to say about Walt Disney and Mickey Mouse. Look for Jim's interview sometime in January. I have a few other exciting projects I'm working on that I'm not ready to talk about yet, but give me time. Since I started blogging on my own nearly five years ago and later caught the podcasting bug, I've been on a remarkable journey full of fascinating people and wonderful experiences and it's been my pleasure to share them with you here. Stay tuned. The best is yet to come.